The HR Knowledge Center at the Society for Human Resource Management responds to thousands of questions every year from HR professionals and business leaders. The detailed and reliable answers that are provided span a wide array of people management topics, from HR management and development to employee relations and regulatory and legal compliance. 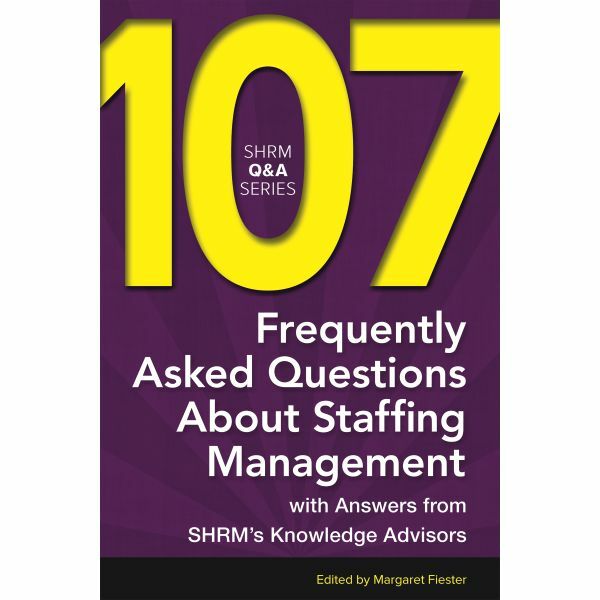 In 107 Frequently Asked Questions About Staffing Management, Margaret Fiester, SHRM-SCP, has compiled the most often asked questions related to hiring, I-9 compliance, independent contractors, interviewing, pre-employment testing, recruiting, retention, termination, workforce planning, and much more. 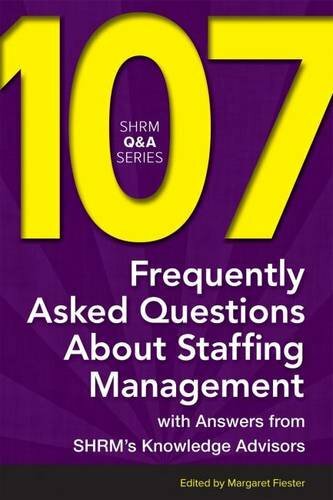 For example, the answers to these most commonly asked questions are included in this essential resource: • Can an employer rescind a job offer? • How do I calculate retention? Is retention related to turnover? • What compliance issues are involved in creating a pre-employment test? • How should a company develop a staffing plan? This book will let you benefit from the experts in the HR Knowledge Center. Their insights will help you better understand and manage your human resources functions.